I’ve been asked to circulate the flier, below, round you all as some of you may be interested, or know someone else who may be. Also – our next and final summer photoshoot is on Monday 21st August – 6pm at the Emmanuel, or 6:20 (ish) at the car park near the cafe/restaurant at Cannon Hall. If it rains a little, we’ll all get wet. If it rains a lot, you’ll all get wet. Hope you’ve been keeping the dust off your cameras over the summer. 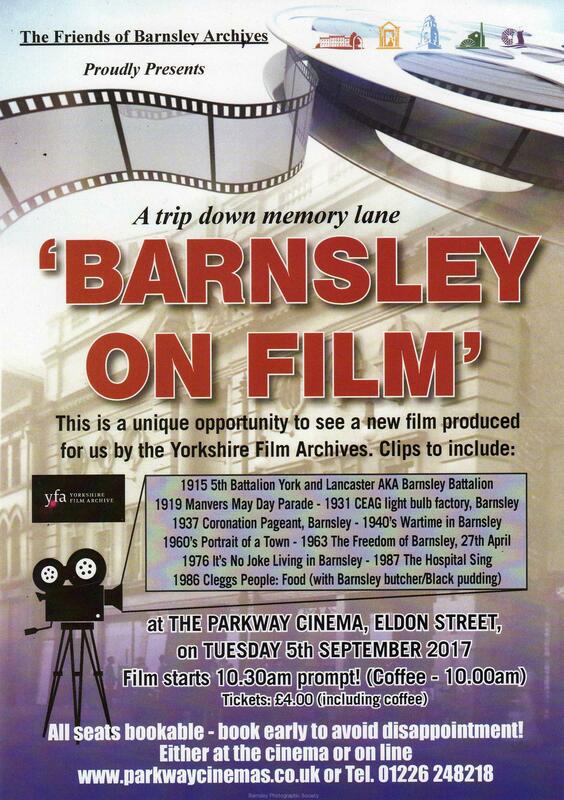 From: Brian Rowe, Friends of Barnsley Archives. If possible could you please circulate to your membership the attached flyer giving details of our forthcoming event.